DS Taekwondo’s 1st ever Club Competition! So….after many years of talking about it – finally we made this event happen……….and it was awesome! Thanks to everyone for supporting your club and getting involved either competing or spectating- the feedback I have received has been really positive so I hope everyone had a good time! 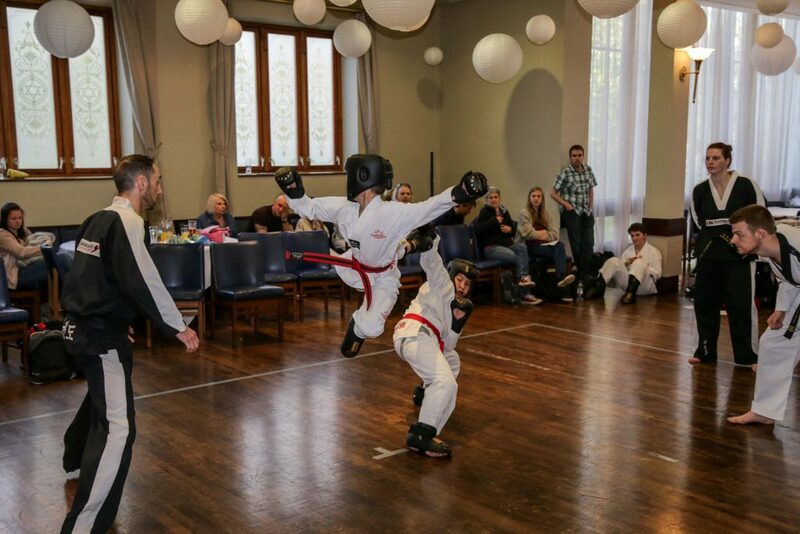 Saturday 8th April was the date and the magnificent Tapton Hall was the venue (probably the first time they have hosted a TKD competition too!). 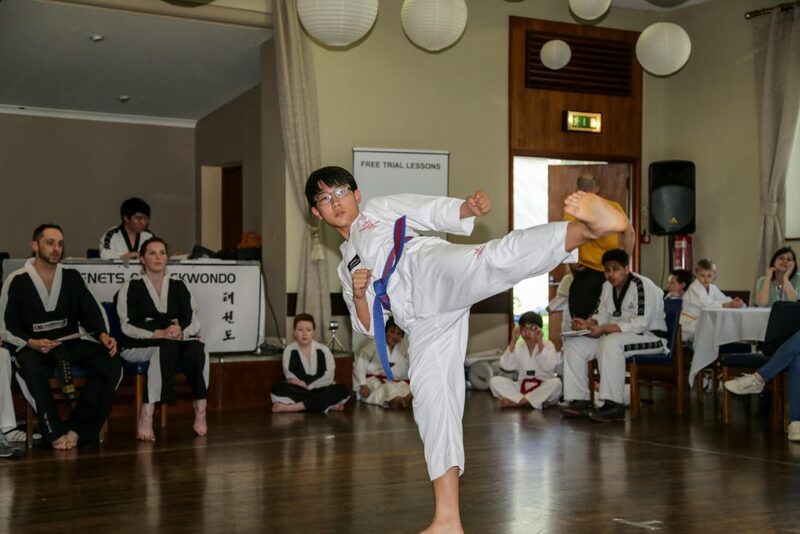 Over 80 competitors took part ranging from Little Ninja white belts to Senior Black Belts and the standard of Taekwondo on show was very high. Just one competition area in the middle of the hall meant the focus really was on the competitors and everyone (especially the smallest members of the club) did really well to perform under the pressure. Thanks to the 100 or so spectators who helped to create a great atmosphere and spur the competitors on with a lot of cheering! Events included patterns, team patterns, speed kicking, sparring and tag team sparring ….and led to some fantastic TKD action! Mr Brian Anderton (official TAGB photographer) travelled over from Liverpool and took around 1000 high quality images of the event. All competitors and categories were captured and after processing all photos will be available from Mr Shillabeer. Being a TAGB black belt world champion himself Mr Anderton knows exactly when and where to be get the best shots and the photos he has taken are fantastic. Hard copy photo albums with all the photos in (in category order) and order forms for buying the photos will be available at class in the next few lessons. Below are a couple of teasers for you….. Massive thanks to everyone that helped out with setting up and the running of the event. It was much appreciated and you helped to make a great event happen! Thank you to all participants and well done to all medal winners too – especially to DS Taekwondo’s first ever Grand Champions! As the event was such a big success it looks like we will be making it an annual thing now! But in case you cant wait – the next comp is the Lincolnshire champs (Sat 7th May at Grantham). Entry deadline Friday 21st April.